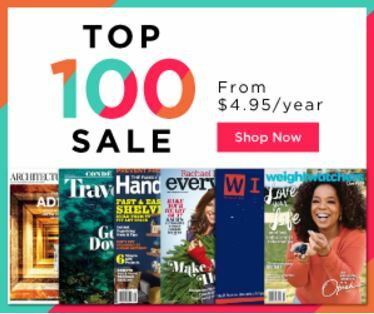 This weekend Discount Mags is having a Top 100 magazine subscription sale where you can score sale titles for as low as $4.95/year! Remember you can gift magazines to your friends or get these as a new subscription or renewal for yourself! Offers expire Monday 1/16/16 11:59 PM EST.